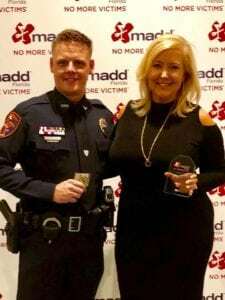 FORT LAUDERDALE – Assistant State Attorney Stephanie Weil was recognized Friday at the Mothers Against Drunk Driving (MADD) 2018 Statewide Law Enforcement Awards Ceremony in Fort Lauderdale. 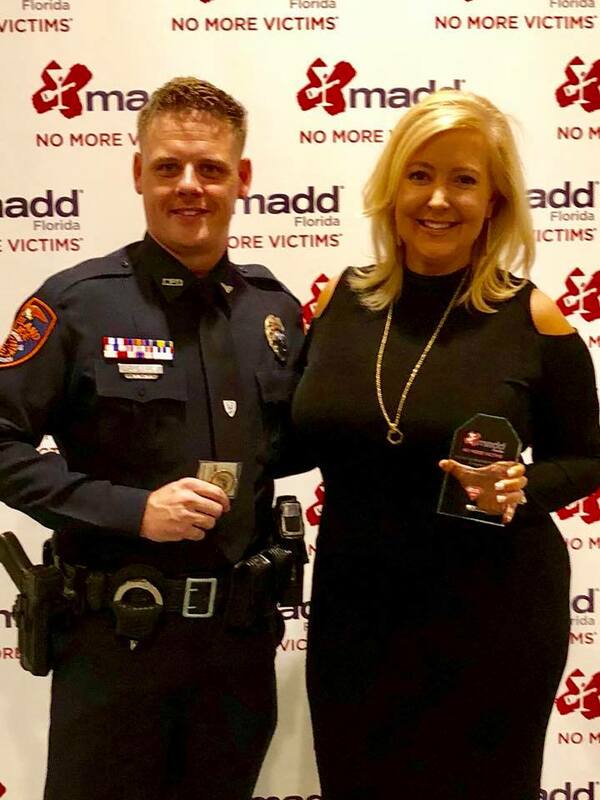 Assistant State Attorney Stephanie Weil, right, and Lakeland Police Officer Cory Suttle pose for a photo with their awards at the 2018 MADD Statewide Law Enforcement Awards Dinner in Fort Lauderdale Friday evening. 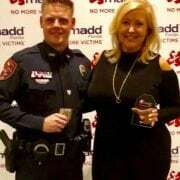 Suttle nominated Weil for her award and was also recognized for his work making DUI arrests. Weil was one of 17 prosecutors nominated from across the state for their exemplary job handling DUI cases. Lakeland Police Officer Cory Suttle nominated Weil for the “Outstanding Prosecutor Recognition” award for her hard work prosecuting DUI cases over the past year. Weil has worked closely with the Lakeland Police Department DUI Unit over the years to ensure DUI convictions are secured, and she said it was incredibly humbling to learn that LPD nominated her. Suttle was also recognized at the 2018 Awards Dinner with the “Centurion Award” for making more than 100 DUI arrests in a calendar year. Weil said she is privileged to serve under State Attorney Brian Haas, who has made the prosecution of DUI offenders a priority in the Tenth Circuit. “When DUI offenders are held accountable for their actions, lives are saved,” Weil said.